President Susan J. Hunter was inducted into the Francis Crowe Society on April 30, 2018. 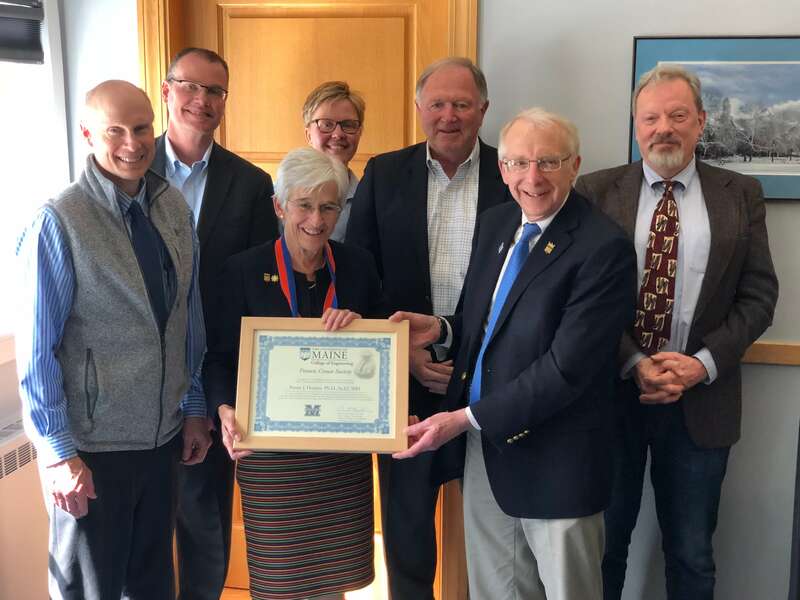 The induction took place at the President’s office at UMaine and was presented by Dana Humphrey, Dean of Engineering, joined by the Dean’s Advisory Council.